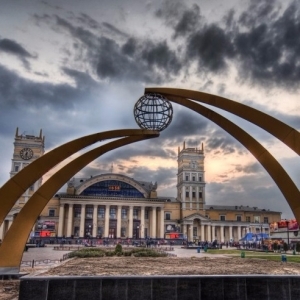 The behavior of the inhabitants of Kharkov will be decisive for the fate of the city. This factor ahead of leading economic and military threats. Vladimir Putin has repeatedly said that before the annexation of the Crimea checked with the data of sociological research about the mood on the peninsula. In so doing, it is possible to believe, for all active military actions in Ukraine, he made there, where there was a sustained policy support of the Russian Federation, or situational, as the peak postmaydannoy and postkrymskoy crisis in Donbas. In those regions where it was not possible to dominate, there were attempts by propaganda and terrorism to change the balance of sentiment. This in itself does not exclude the possibility of military intervention in the region is insufficient loyalty to the "Russian world", but obviously a very important element, because the loyalty of the population reduces the military, media and the general economic costs to the occupier.